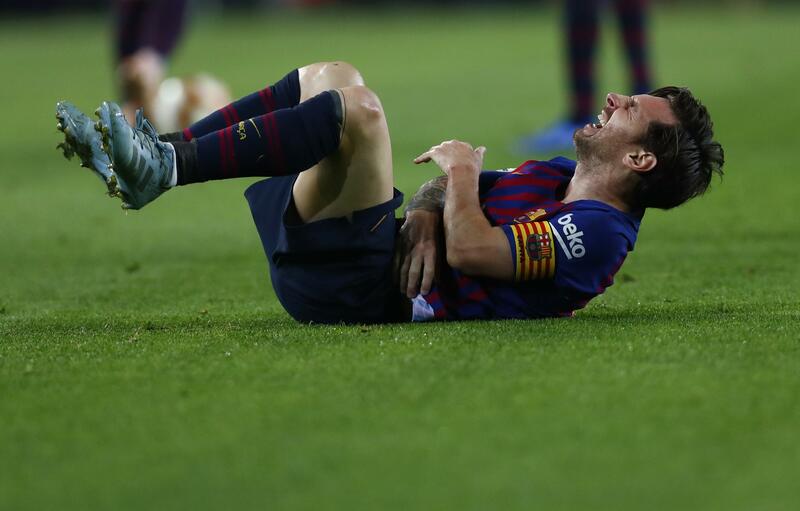 BARCELONA, Spain – Lionel Messi has broken a bone in his right arm and will be sidelined for about three weeks. Barcelona made the announcement on Saturday after Messi left the club’s Spanish league match against Sevilla in the first half at Camp Nou Stadium. The playmaker scored the team’s second goal with a shot from outside the area in the 12th. At the least, Messi will miss playing Inter Milan in the Champions League on Wednesday and the clasico against Real Madrid next weekend. Published: Oct. 20, 2018, 7:56 p.m.